Even as Beijing is vigorously stepping up its engagement with Kathmandu, the first China-made air carrier finally reached the Himalayan nation of Nepal on Sunday afternoon. Operated by two American pilots, the 58-seater Modern Ark 60 (MA60) that flew from China’s Kunming landed at Nepal’s only international airport on Sunday. The country’s national flag carrier currently has only one aircraft. Nepal Airlines has not procured any new aircraft since it bought a twin otter in 1984. “We are really happy at this moment,” said an airline spokesperson Ram Hari Sharma confirming that the MA60 will commence commercial operation within a week following its test flight in Nepali skies. China’s Xi’an Aircraft Industries Corporation is the maker of MA60, which was first manufactured in 2000. More than 80 MA60 planes are being used by several air service providers in many countries across Asia, Africa and South America. Beijing is focusing on investment, cultural exchange and heightened contact at all political levels with Nepal, sandwiched between the two Asian powers, India and China. Nepal had signed an agreement with China in December 2013 to procure and purchase six China-made airplanes. According to the deal, Nepal will acquire two aircrafts, a 19-seater Harbin Y12E and a 58-seater Modern Ark 60 (MA60), on grant and three Harbin Y12E and a MA60 on concessional loan. According to Nepalese officials, China will dispatch the second air craft, a 19-seater Harbin Y12E on June 30, another MA60 on September 30 and all other remaining three Harbin Y12E on October 28 this year. 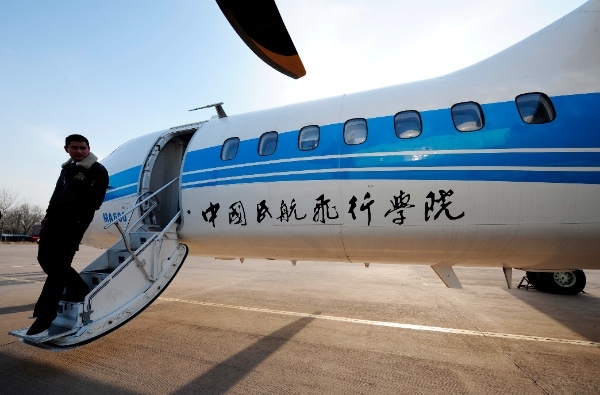 The China-made aircrafts will be used for domestic flights connecting a number of destinations, including Biratnagar, Pokhara, Bhairawaha, Bhadrapur, Dhangadi and Nepalgunj, directly from Kathmandu after one and a half decade of halting operations in these destinations. Nepal is a strategic transit point for Chinese businesses to spread to South Asia. Struggling to revive its economy after a palace massacre in 2001 that wiped away the royal family, Nepal received a an economic assistance package worth 1.92 billion Nepalese rupees ($19.2 million) from China last month.